Not just what you say when someone's all, "I'd like to spend $10,000 on a pair of jeans. Do you know where I can do that? 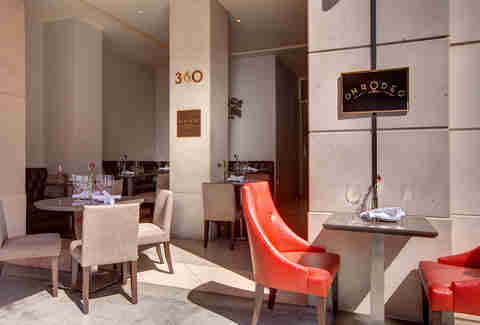 ", On Rodeo's also an indoor/outdoor American blounge (bistro + lounge!) 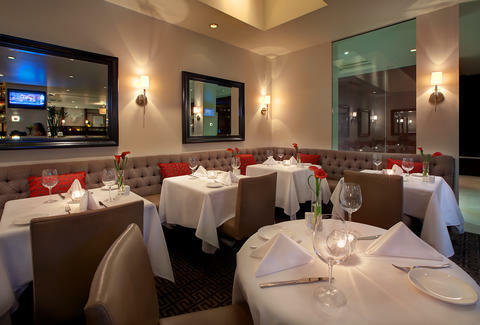 located inside the Luxe Hotel, with a classy, 30ish-seat interior that'll make you wish you were wearing your "fancy" ascot today. Sit on the outdoor patio: it's actually more of an outdoor alcove, pushed back from Rodeo, but it's ideal for people-with-larger-bank-accounts-than-you-watching. 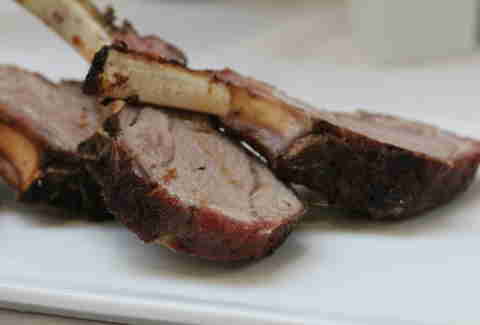 The grill here's the king, searing eats like sea bass w/ ginger buerre blanc and these lamb lollipops, which they're hoping people'll flock here for. 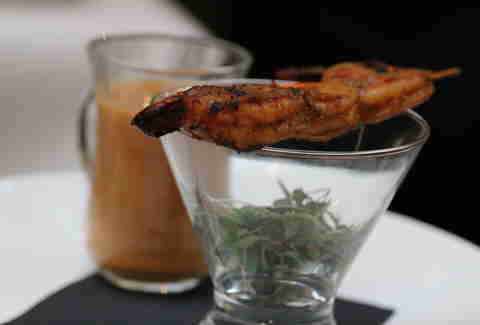 They've also got this grilled (and then chilled) shrimp dish, served w/ a dipper-friendly side of gazpacho that can be alkie'd up with an optional shot of vodka. 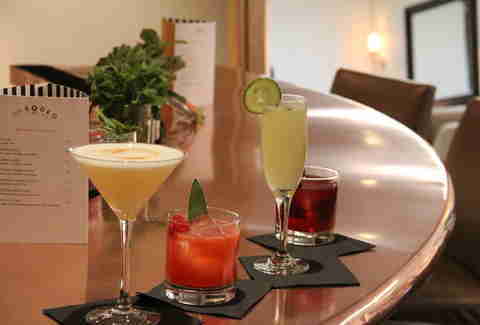 As for the drinks, they're all from the crazy-acclaimed former mixologist from Library Bar at the Roosevelt, with upped-ante classics like pisco w/ homemade sweet & sour and the Last Word, topped with cacao nibs, which actually are (...the last word, that is. Or at least, they were...).